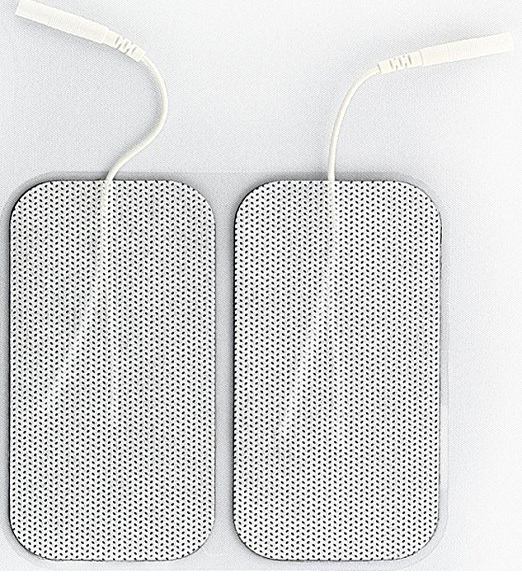 These pads come in a single pack, (total 2 electrodes in package). 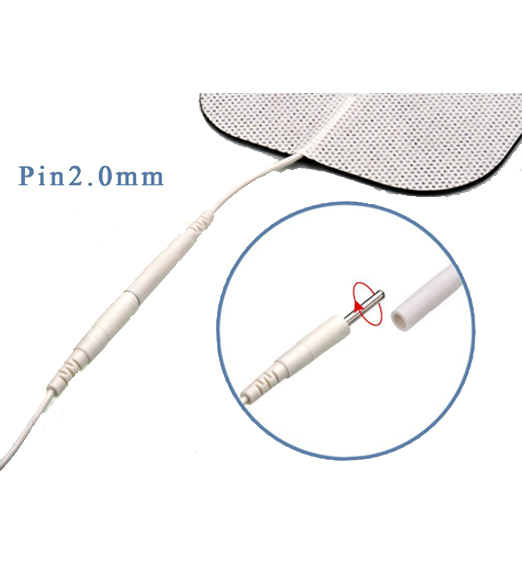 For use with TENS ,EMS,IFT as well as any compatible pulse massagers. 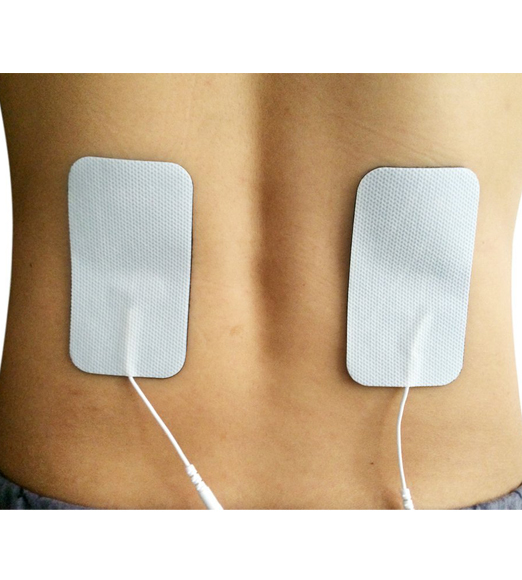 These quality Electrode Pads are professional grade, made with the highest quality adhesive gel for maximum reusability. 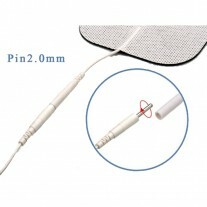 They are designed to provide comfort while delivering the most efficient treatment. UltraCare PRO replacement pads are durable, comfortable and gently adhere to your skin. Be sure that the skin is clean first before use. The skin has natural oils, which can affect the adhesive surface of pads, so be sure clean the area to be treated with soap and water, or a cotton swab moistened with rubbing alcohol and dry thoroughly before applying the pads. The conductive gel adhesive is water- based, If it becomes saturated (e.g. from perspiration), it will lose its adhesive qualities. In this case, after use, leave the pads face-up overnight to dry out. After a number of uses, the pads will likely become dry and lose adhesion. To extend the life of the pads, moisten the adhesive surface with a few drops of tens gel (ultrasound gel) or water, and reattach the pads to the plastic film overnight. This procedure will extend the life of the pads significantly. Replace the pads onto plastic film after each use. If the pads drop onto the floor, or come into contact with any other surface besides your skin and the plastic holder, debris will adhere to the conductive gel, rendering the electrodes less effective. Make sure to remove the pads at regular intervals. 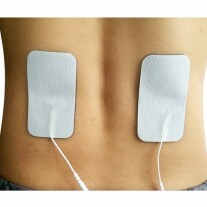 Some people find TENS therapy so effective that they use it most of the day. Even if you wear TENS unit pads for hours at a time, it’s important to take them off at regular intervals (at least hourly) to ensure that the skin underneath them is not red or irritated. Make sure to clean the pads with soap and water, when necessary and not alcohol. Alcohol can destroy the lining of the pads, which will render them ineffective. Remove the pads from the plastic liner by bending the liner slightly at one corner. Loosen the gel from the liner by rubbing your thumb across the edge of the pad in an upward motion. Once the gel has loosened from the liner, grasp the edge of the electrode pad and peel it from the liner. For those electrode pads with pre-attached wires (or pigtails), DO NOT PULL ON THE WIRE. Doing so may cause damage or destroy the pad. The proper method of removal is to grasp the edge of the electrode and lift it from the liner or the skin. Always check to electrode pads gel for tac prior to use. If the gel does not readily adhere to a gentle touch of your fingertip, rub a drop of Electrode gel on the surface and repeat until the surface has been completely re-hydrated. Always return the pads to the release side of their liner and store in the storage bag. Store in a cool, dry place, avoiding exposure of the gel to light, heat and humidity. Copyright © 2015 UltraCare PRO. All Rights Reserved.